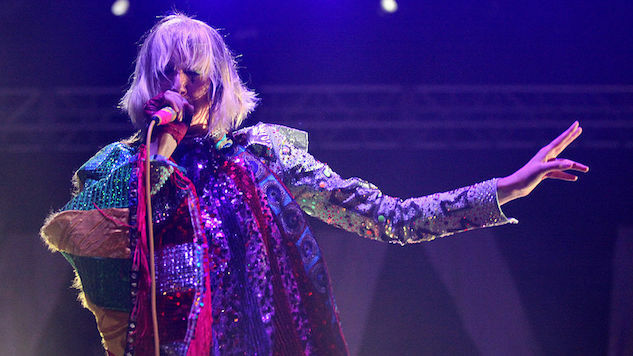 Yeah Yeah Yeahs' set will be their first show in four years. The 2017 lineup for Sound On Sound Fest has been unveiled. Artists including Yeah Yeah Yeahs, Grizzly Bear, The Shins, Blood Orange, Vince Staples and Washed Out will perform at the Austin-based festival. This year’s Sound On Sound will take place in Sherwood Forest from Nov. 10-12. Ticket purchases will benefit the Health Alliance for Austin Musicians. Perhaps the most exciting band on the lineup is headliner Yeah Yeah Yeahs. This marks the indie rockers’ first performance in four years since they toured in support of the release of 2013’s Mosquito. Another equally thrilling inclusion is Grizzly Bear, the artist gracing the cover of Paste Quarterly issue two. This is the second year of Sound On Sound Fest, after it replaced the Fun Fun Fun Fest. Some of the smaller acts on the bill include Twin Peaks, Sorority Noise, Kamau, The Hotelier, Alex Napping, Cherry Glazerr and Kydd Jones. See the lineup poster and text below, and find ticket information here. Also, check out our 10 favorite Yeah Yeah Yeahs songs (circa 2013) right here, and a Grizzly Bear performance from the Paste Cloud below.